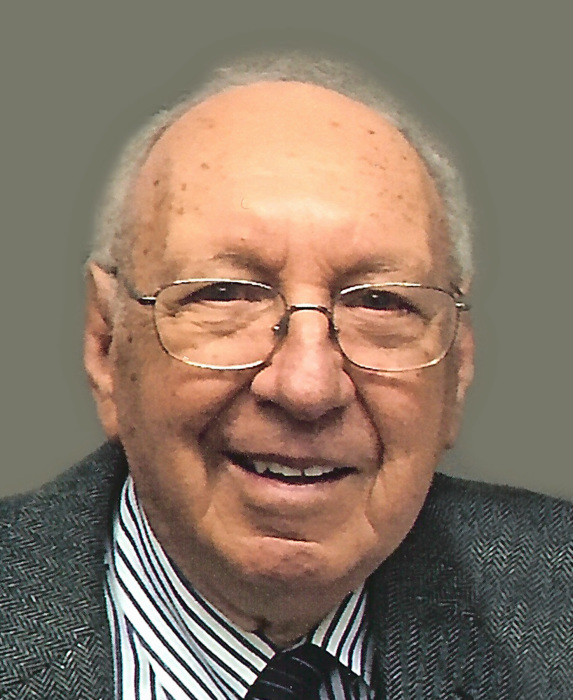 Obituary for Joseph I. Mroczynski | Hamp Funeral Home, Inc.
Joseph Ignatius Mroczynski, age 90, died January 25, 2019. Born in North Tonawanda, New York, Joseph was the son of the late Ignatius and Cecilia Mroczynski, also of North Tonawanda. Beloved husband of 55 years to the late Esther (nee Matla) Mroczynski, he is survived by his two daughters, Susan Mroczynski Valentino of Warren, New Jersey and Molly Ann (Patricia) Woods of Sierra Madre, California. His loving daughter, Amy Mroczynski Simons of Atlanta, Georgia, predeceased him. His five grandchildren - Carl, Olivia, Sophie, Michael, and Anna - always brought him great joy. Also surviving are his son-in-law, Gary Simons of Georgia. Joseph attended Canisius High School and Canisius College. He earned his BS in Pharmacy from the University of Buffalo. Joseph was proprietor and owner of Fischer's Pharmacy in North Tonawanda for 30 years. One of the greatest couples of all time, Joseph and Esther are together once again. Friends may call from 2-5 PM on Thursday only at the HAMP FUNERAL HOME, Inc., 37 Adam Street at Seymour, Tonawanda. A Mass of Christian Burial will be celebrated at 9:30 AM on Friday, February 1, at St. Christopher R.C. Church, 2660 Niagara Falls Blvd., Town of Tonawanda. Friends invited. In lieu of flowers, please consider making donations to St. Christopher R.C. Church, 2660 Niagara Falls Blvd., Tonawanda, NY 14150.